Cold water, Coffee and Time. That's all it takes to make our delicious Harpoon Cold Brew. But the perfection lies deep in the details of what we make. Harpoon Cold Brew is brewed with cold filtered water over 18 hours to extract only the light and delicate flavours of the coffee, and avoiding the bitterness and acids that come out with a hot extraction. 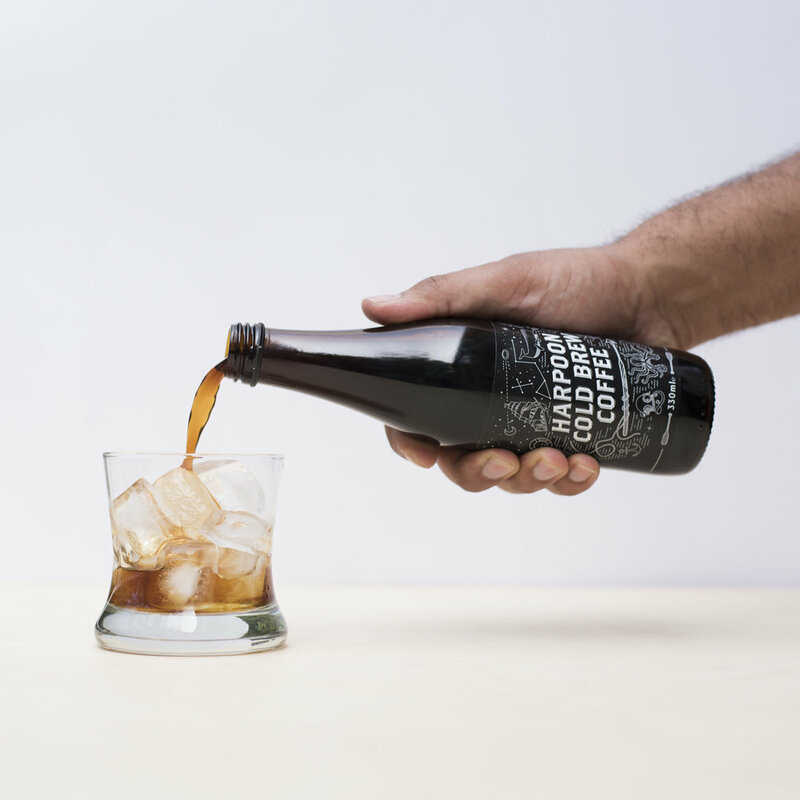 As a result Harpoon Cold Brew is a long and refreshing way to drink coffee. Clean and smooth, with no sugar or anything artificial. Our 330ml Original Cold Brew is stocked in most Countdowns, urban Z energy stores and key New World stores throughout the country. Our 375ml Concentrate is stocked in specialty grocery stores, like Farro and Moore’s and many of the New World stores we're in.